I've made a gimp icon theme that I'd like to share. I've remade all the icons with the hope of creating a clean, platform agnostic ui library. Currently the gtkrc styles are optimized for windows, because that's what I use at work, but with a only a little tweaking can be made to work with whatever your setup is. 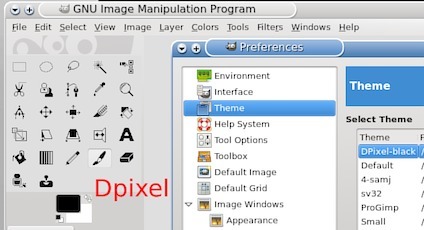 There are three small icons that I couldn't manage to replace in the theme layer of GIMP. Menu icons for document history, color palette and fonts won't seem to change. If you know how to edit them let me know. So you have some competition. ofnuts, thanks for the feedback. The preview image isn't an exhaustive list of all the icons. There are a couple hundred icons all together. The toilet paper roll icon is for one of the document templates. 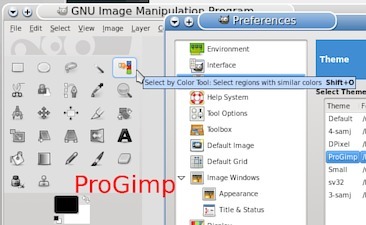 A bit of an easter egg in GIMP. rich2005, I admit claiming the title of "pro" is a little arrogant. I didn't realize it had already been claimed by another.